We turn research into social commitment, providing an experimental peer-to-peer environment for Berlin-based researchers throughout their doctoral studies. The Einstein Research Group NYLON Berlin is the Berlin member of the international NYLON research network with counterparts based at New York University (NYU) and the London School of Economics and Political Science (LSE). Our group is comprised of selected doctoral and postdoctoral researchers from the Max Planck Institute for Human Development as well as Humboldt-Universität zu Berlin, Freie Universität, and Technische Universität Berlin. Ranging from urban planners to anthropologists, historians to geographers, sociologists to political scientists, the group investigates questions at the forefront of critical social theory. In an atmosphere of trust and collaboration at weekly meetings, we collectively engage with close readings of theoretical texts and provide one another rich feedback on drafts of dissertation chapters, journal articles and conference presentations. In bringing new forms of text and representations to our individual and collaborative research, we put into practice our claims to develop critical and alternative epistemologies. In combination with external conferences, public events, joint publications, and other collaborations outside the university, we aim to make our academic work visible to wider audiences and in new platforms for public discourse. To ensure our group’s objectives, we have turned research funding from the Einstein Foundation Berlin into a peer-run initiative hosted by the Department of Social Sciences (Stadt- und Regionalsoziologie) at Humboldt Universität zu Berlin. We collaborate closely with international colleagues from research institutions in New York City (NYU, Columbia University, Fordham, CUNY, New School for Social Research) and London (LSE, King's College, Goldsmith's), as well as Cambridge University and the University of Chicago. Through a shared notion of approaching Critical Social Research, we aim to push social research toward more engaged imaginings of social change. Today’s digital revolution deeply affects the methods, scope and pace of social research as its practitioners are increasingly confronted and engaged with new forms and possibilities of digitalized knowledge production and representation. When thinking about our epistemological grounds and methods, we as social scientists must question our own roles and actions inside and outside of academia, pursuing a deeper understanding of the ’situatedness of knowledge’ (as Donna Haraway puts it) in time and space. Digitalized knowledge appears more ‘democratized’ than ever before, as it is readily accessible to large audiences. At the same time, contemporary forms of producing, distributing and using knowledge, as well as the collection of data information, are gaining importance as central tools in market-making approaches and the governing of everyday life, reproducing conventional power hierarchies as well as establishing new ones. Through these commodification and polarization processes, accompanied by the persisting economization of academic institutions, we face the danger of transforming social research into an exclusive servant of capitalism, simultaneously losing ground for alternative perspectives. This is where we—as NYLON Berlin—collectively intervene in order to explore a critical engagement with today’s conditions of (scientific) knowledge production and its forms of (digital) representation in social research and beyond. Therefore, our individual doctoral research projects as well as our joint NYLON group activities become self-explorative subjects for this vital purpose. We thus critically engage with our own situatedness and aim to explore and combine the ever-new possibilities enhancing critical social research practice and social commitment in the digital age. While sharing a common notion of approaching Critical Social Research, we understand our individual and collective research as a reflexive, open-process-oriented and dialogical method that allows us not only to deconstruct, but also to creatively rewire and redraw the socio-political conditions in which our research and its forms of representation are embedded. Thus, we aim to transform social research from a largely analytic tool to a more progressive and imaginary reconstitution of society in order to trigger social change. Aditi Surie von Czechowski is a doctoral candidate in Middle East, South Asian, and African Studies at Columbia University. Her work focuses on the intersection of humanitarianism and human rights and theories of the human. Helen Gibson is a doctoral candidate in history at Freie Universität Berlin’s John F. Kennedy Institute for North American Studies. Helen's research interests include the intersection of the histories of citizenship and incarceration in the United States and the limits of consumption-as-citizenship in American society. She is currently researching the historical relationship between civil rights and automotivity within the intersecting arenas of consumer capitalism, the American legal system, and race relations. In her dissertation project entitled ‘Joyriding Across the Color Line: Automotivity and Citizenship in the United States, 1895-1939’, she investigates social identities negotiated within the space of the automobile in the twentieth-century American pursuit of freedom through driving. Tinatin is a doctoral candidate at CODE (TU Berlin). Her work concerns the (post-)Soviet mass housing settlement Gldani that is located in Tinatin´s hometown, Tbilisi. Tinatin's work concentrates on a sociological approach towards architecture and urban space. In her work, she tries to understand what happened with the Gldani neighborhood in the transition period after Georgia became a country independent from the Soviet Union. Tinatin is author of several publications and is one of the founders of the Tbilisi Architecture Biennial, which is scheduled to take place for the first time in October 2018. Till Großmann is a doctoral candidate at the International Max Planck Research School for Moral Economies of Modern Societies in Berlin. He has studied Modern German History at the Freie Universität Berlin. His dissertation project engages with the discourses and practices on love in state-socialist East Germany. He employs emotions as an analytical tool to investigate the co-formation of the self and society. This frames his occupation with the history of emotions as underpinned by an interest in body and gender history, history of science as well as material culture. Christian Güse is a doctoral candidate in the political science department at the John F. Kennedy Institute for North American Studies at Freie Universität Berlin. Christian’s research interests include the state’s role in the facilitation and maintenance of globalization processes as well as the critical analysis of state-market relations. He is currently working on the material dimensions of globalization processes and the underlying infrastructures necessary for global supply chains to function. In his dissertation project, ‘Guaranteeing the Flow – A Critical Analysis of the U.S. State as Market Maker and Compensator within the Transportation Sector’, Christian tries to counter arguments of a declining state and analyses the role and new tasks it takes on to support and sustain the global transportation sector and the precarious and unequal power relations within it. Nadja Klopprogge is a doctoral candidate in history at the Graduate School of North American Studies, Freie Universität Berlin. Her research interests include transnational and global history, the history of sexuality and emotions, memory and politics of history in the 20th century. She is working on a dissertation investigating the transnational history of the African American struggle for social justice in the long postwar period (1945-1980s). More precisely, Nadja seeks to scrutinize the entanglement of African American politics of history and sexuality in the context of the U.S. troop deployment in Germany after World War II. Anna is a doctoral candidate in urban planning at the HafenCity University Hamburg. She has been a teaching and research assistant at the department of design and building planning at the University of Arts Berlin since April 2017. Her PhD project ‘Arrival Space of Bulgarian Roma in Berlin‘ investigates the phenomenon of arrival in order to find a new definition of the urban, based on informality and temporality. Hannes is a researcher and doctoral candidate at Habitat Unit (TU Berlin) working at the interface between urban-regional theory, planning and sociology. His research interests lie in the areas of extended urbanisation processes and rural-urban transformation; social movements and their impact on urban-regional development; and participatory urban-regional planning and politics. In the framework of an international comparative study, Hannes is working on a dissertation project investigating socio-spatial geographies of small-scale community economies across urbanised hinterland areas in China and Germany. Gala Nettelbladt is a research associate and doctoral candidate at the Leibniz Institute for Research on Society and Space. She has a dual background in Social Sciences and Urban Planning, with a BA in European Studies from King’s College London and an MRes in Interdisciplinary Urban Design from the Bartlett School of Planning, University College London. Gala’s research is broadly concerned with the relationship between space and politics, including topics such as urban governance and migration, populism and the city as well as urban infrastructures. She is currently developing her dissertation project on the spatialities of right-wing populism in Germany. Gözde is a doctoral candidate at the Habitat Unit (TU Berlin). Her research interests include critical urban theory, commons, and political ecology as well as social reproduction and feminist theory. In her dissertation, tentatively titled ‘Commoning Spaces of Food‘, she aims to investigate alternative food networks in metropolitan areas. Specifically, her research project departs from the premise that commoning practices occurring in urban gardens, community supported agriculture projects, food coops or collective kitchens and sharing networks contain unique agencies and tools that would transform socio-economic relations. Analyzing ‘commoning’ as a practice unfolding within larger political, social and ecological systems, her research aims to develop tools to address such a complex phenomenon. Sébastien Tremblay is a doctoral candidate and fellow at the Graduate School of Global Intellectual History at the Freie Universität Berlin. His present dissertation project looks at the gay and lesbian transnational and transatlantic cultural communication networks from the 1970s to the 1990s and focuses on the 'Pink Triangle' as a marker of identity in LGBTQI+ activist circles. He analyses how the fight for recognition by homosexuals in the long post-war era in the Federal Republic of Germany was recuperated by prominent figures of the gay communities in the United States of America on both the West and East Coast. In so doing, he entangles an intersectional approach to identity politics, a new form of history of knowledge based on a transatlantic collective memory, and a multidirectional discourse analysis of the Holocaust as a global icon. Jiann-Chyng Tu is a doctoral candidate in North American literature and culture at the Humboldt-Universität zu Berlin. His research interests include African American literature and culture, African Americans and Germany, W.E.B. Du Bois and Germany, theories of cosmopolitanisms, as well as the intersections of race, technologies, and media. His dissertation, tentatively titled 'The Transnational Self and the Cosmopolitan Imaginary: Romance, Germany, and the Postwar African American Novel', seeks to engage with genre, form, and concepts of national belonging in postwar African American novels set in divided Germany. Urszula Ewa Woźniak is a doctoral candidate in sociology at the Department for Social Sciences at Humboldt-Universität zu Berlin. Her research interests include political sociology and political anthropology, migration and transnationalism, urban studies and Turkish studies. With her ethnographic research on two Istanbulite neighborhoods, she examines the relevance of the neighborhood (mahalle) as a contested system of order in both the realm of everyday life and political discourse. Her PhD project traces how in the context of resurgent nationalism under the current neoliberal Islamic rule, the increasing polarization of Turkish society reverberates in the making of the neighborhood as moral territory. NYLON Berlin is a self-organized interdisciplinary PhD research group funded by the Einstein Foundation Berlin. 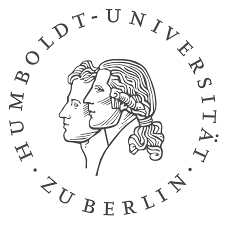 It is hosted by the Department of Social Sciences (Stadt- und Regionalsoziologie) at Humboldt Universität zu Berlin and is part of a larger research network expanding to institutions in New York City (NYU, Columbia University, Fordham, CUNY, New School for Social Research) and London (LSE, King's College, Goldsmith's) as well as to Cambridge University and the University of Chicago. NYLON Berlin reserves the right not to be responsible for the topicality, correctness, completeness or quality of the information provided. Liability claims regarding damage caused by the use of any information provided, including any kind of information which is incomplete or incorrect,will therefore be rejected. All offers are not-binding and without obligation. Parts of the pages or the complete publication including all offers and information might be extended, changed or partly or completely deleted by NYLON Berlin without separate announcement. NYLON Berlin is not responsible for any contents linked or referred to from his pages – unless he has full knowledge of illegal contents and would be able to prevent the visitors of his site from viewing those pages. If any damage occurs by the use of information presented there, only the author of the respective pages might be liable, not the one who has linked to these pages. Furthermore NYLON Berlin is not liable for any postings or messages published by users of discussion boards, guestbooks or mailinglists provided on this page. NYLON Berlin intended not to use any copyrighted material for the publication or, if not possible, to indicate the copyright of the respective object. The copyright for any material created by NYLON Berlin is reserved. Any duplication or use of objects such as images, diagrams, sounds or texts in other electronic or printed publications is not permitted without NYLON Berlin’s agreement. If the opportunity for the input of personal or business data (email addresses, name, addresses) is given, the input of these data takes place voluntarily. The use and payment of all offered services are permitted – if and so far technically possible and reasonable – without specification of any personal data or under specification of anonymized data or an alias. The use of published postal addresses, telephone or fax numbers and email addresses for marketing purposes is prohibited; offenders sending unwanted spam messages will be punished.